On Saturday, September 22nd, the Organization of Iranian-American Communities (OIAC) held a summit in New York City. Titled “Iran Uprising: The Path to Freedom,” the event was attended by more than 1,500 leaders and delegates from the Iranian American community supporter of the MEK and featured a lineup of distinguished speakers, including former New York City Mayor Rudy Giuliani, former Attorney General Michael Mukasey, and former Italian Ambassador to the U.S. Giulio Terzi, along with others. Former French Foreign Minister and founder of Médecins Sans Frontières Dr. Bernard Kouchner was among the speakers at the summit. In his speech, Dr. Kouchner described the terrorist actions of the Iranian regime and emphasized the need for the United States and Europe to come together to support the Iranian people in their goal of a free Iran. 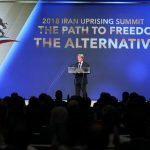 He also praised the MEK for their work in the Iranian Opposition movement and pointed out that a democratic alternative exists to replace the regime. The regime’s behavior, according to Kouchner is unacceptable to both Americans and Europeans. “There is hardly any problem in the region that the Iranian regime is not playing a very malignant role in,” Kouchner said. “In Syria, they join Assad in the mass killings of hundreds of thousands of Syrian people. In Lebanon, they created Hezbollah, which has divided the country. They were sending, and are still sending thousands and thousands of missiles to Hezbollah…[I]n Lebanon, in violation of the U.N. Security Council resolution, they are arming the Houthis in Yemen. They are playing a destructive role in Iraq itself. They are also in violation of Security Council,” he added. Kouchner also discussed the regime’s terrorist activities in Europe, detailing the foiled terrorist plot last June against the NCRI annual gathering in Paris. Kouchner mentioned that he was one of the speakers at the gathering that was targeted and noted that “an Iranian diplomat personally provided the bomb to the agent to carry the terrorist attack.” Belgian authorities, working with the French police and the German judiciary, discovered and foiled the plot before the terrorists were able to reach the convention. Kouchner said that a similar plot against the MEK was thwarted in March in Albania. 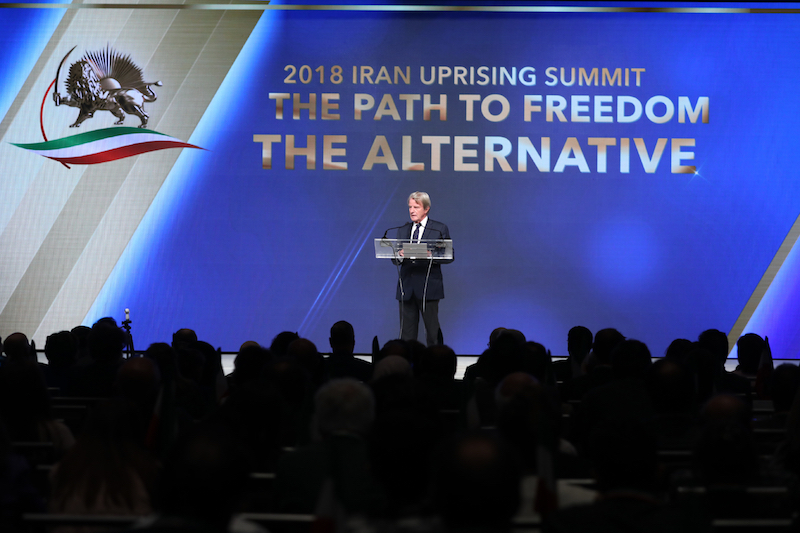 Kouchner emphasized that Iran has another choice: “a democratic alternative which is struggling for a secular Iran.” Iran’s clerical regime, said Kouchner, is unacceptable for normal people.